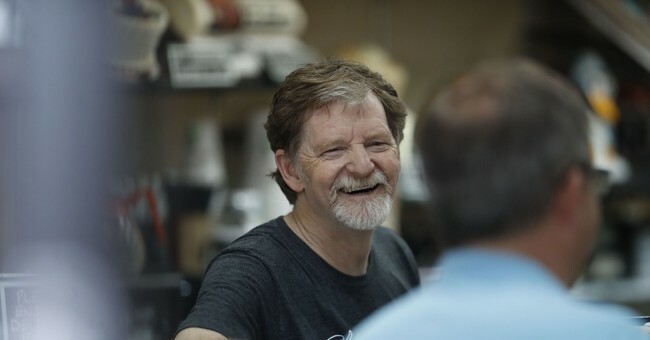 The state of Colorado said last week that it is dropping the second case against Christian cake artist and bakery owner Jack Phillips. The unexpected announcement came just one day before former Colorado governor John Hickenlooper announced he is running for president in 2020, leading some to wonder if the timing might be more than a coincidence. Phillips is owner of Masterpiece Cakeshop, a small family business he opened in Lakewood, Colorado in 1993. Phillips was first targeted for his Christian beliefs six-and-a-half years ago, when he declined to design and bake a custom cake for a gay wedding. Last Tuesday, the commission suddenly announced they are no longer pursuing legal action against Phillips. “After careful consideration of the facts, both sides agreed it was not in anyone’s best interest to move forward with these cases, Attorney General Phil Weiser said. However, Waggoner believes the state of Colorado has misrepresented the decision to drop the case against her client. Local Denver radio personality Peter Boyles believes the state’s decision may have less to do with a legal defeat, and more to do with national politics. Just one day after the commission stated it was dropping the case, former Democratic governor of Colorado John Hickenlooper made an official announcement that he is running for president in 2020. “The minute that this guy says ‘I’m running for president’ then this case gets dropped,” Boyles said March 6 on his radio show. According to Boyles, Phillips was set up and targeted by the commission with Hickenlooper’s blessing. “He lead it, he gave it the green light,” said Boyles, who believes that Hickenlooper is now hoping to distance himself from the case. Boyles also criticized the news media for failing to ask hard questions and report on what he claims is more than a mere coincidence. As for Phillips, he is just anxious to get back to normal life.